It was classic Southern Cal. A gorgeous sunset, peaceful beach and skinny palm trees that seem to touch the sky. 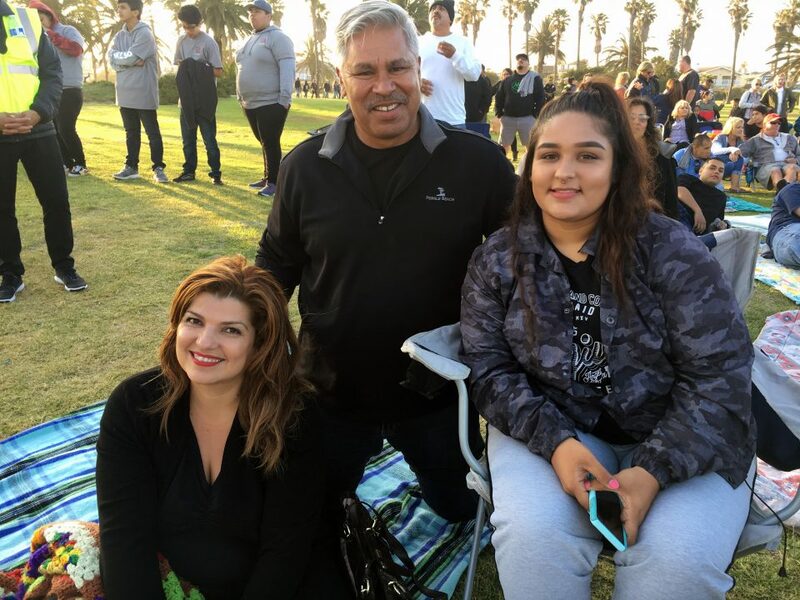 Just over the dunes, the sound of hope was even louder than the waves in Oxnard’s Beach Park Wednesday night. 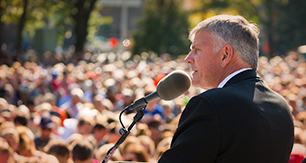 Franklin Graham was giving a message of truth to an estimated 3,700 people on the 3rd stop of the Decision America California Tour. “Jesus came on a rescue mission. He took your sins to the cross,” he said. Evelyn Chavez, who drove over an hour from Van Nuys, liked that each of the 10-city events is outdoor. With exceptionally fertile soil, strawberry fields abound in this area of central California, producing one-third of the state’s crop. Wednesday’s prayer rally encouraged many to do some planting themselves. Barry Driver was at the park with his son, granddaughter and friends. Oxnard, the largest city in Ventura County, has its issues. “Oxnard is dangerous,” Driver said, referring to widespread gang violence that has left many people in Oxnard—and some in Ventura County—living in fear. Robert and Darlene Shaw from Ventura had the best seat in the house. Well, almost. 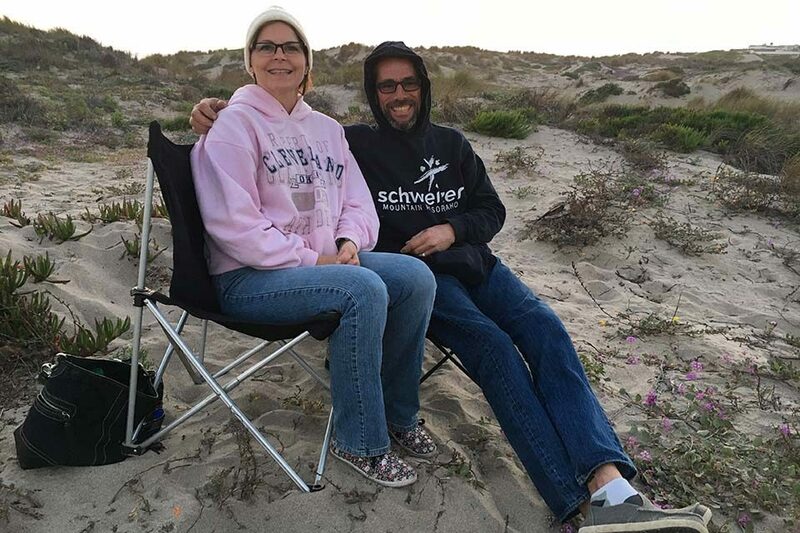 They preferred to listen to Franklin Graham’s message and the live music from the dunes. 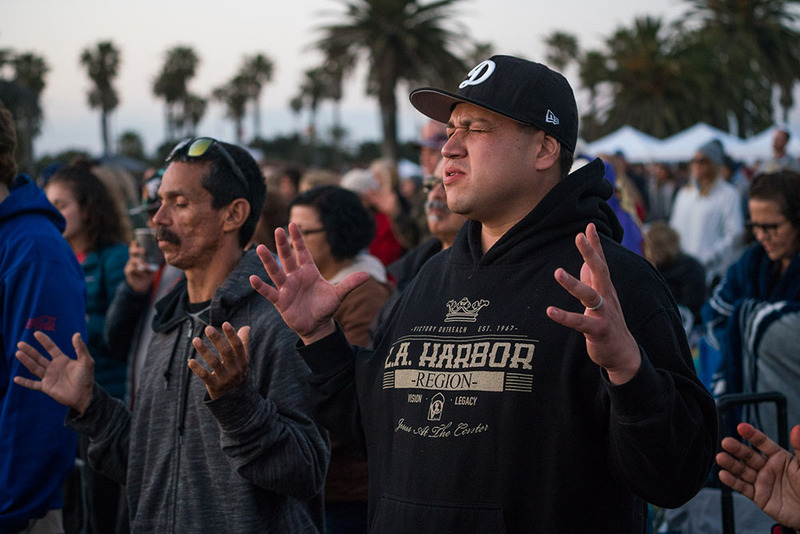 Charitee Terronde, a 22-year-old from nearby Camarillo, is part of Christian group that ministers in the roughest parts of Oxnard. Now Charitee’s interested in saving others’ lives. “A lot of people don’t know who God is so you’ve got to go to them,” she explained. Evelyn Chavez (left), Barry Driver and his granddaughter, Charitee Terronde, wait for the event to start. >> See where the California Tour is headed next. Like Charitee, Franklin Graham is taking God where the people are. He’s encouraging Christians to walk the walk and talk the talk when it comes to their faith. “We need men and women today who are willing to live for God,” he said. That means Christians talking about the saving message of Christ to non-believers. So when the tour rolls out of town, Christians in Oxnard and other cities in Southern California will be reaping a harvest. Something even sweeter than strawberries. New Christians. “Everybody here is called to share the Gospel,” Driver said. “We’re here to pray for those that are lost,” said Driver. Standing with Franklin Graham after he offered an invitation to make a decision for Christ on Wednesday night in Oxnard, California. 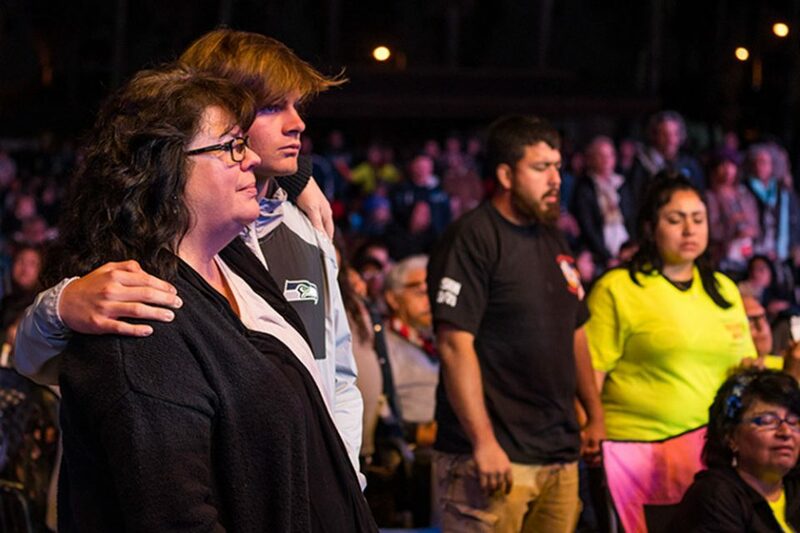 Watch any of the remaining 7 Decision California events LIVE at: billygraham.org/live. All events begin at 7:30 p.m. PT. >>Get more details about the tour here. >>Each city on the tour has unique needs. Find specific prayer points here.